Do you fall under a certain sign, but display the characteristics of others? What is your true zodiac sign and what other signs define you as a person? We all display the characteristics of a combination of different zodiac signs. Very few of us are defined completely by one sign alone. This is primarily because our personalities and temperaments are influenced by two separate signs, our Sun and Moon signs. 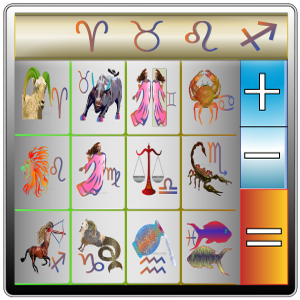 At PowerFortunes.com we have created a one of a kind zodiac calculator that works out the exact ratio of the different zodiac signs that make up your personality. This calculator is based on a simple, but precise algorithm that employs elements of Vedic astrology, Western astrology and numerology, to work out your correct sign composition. A link for your zodiac sign will be provided at the end of the result. Follow this to find out the surprising truth about about your zodiac sign. Use the 'Love Horoscopes' calculator to compare your characteristics with another person's, like and friend, colleague or partner to know how compatible your zodiac signs are. For the best results, enter your first name first in full. Select a colour that you find the most pleasing. Compare your results with your partner's with the Love Horoscopes Calculator.